Football is coming to the Big House this weekend. A sold out crowd of over 100,000 will be on hand to see a game much different than what is played on Saturday afternoons in the fall. 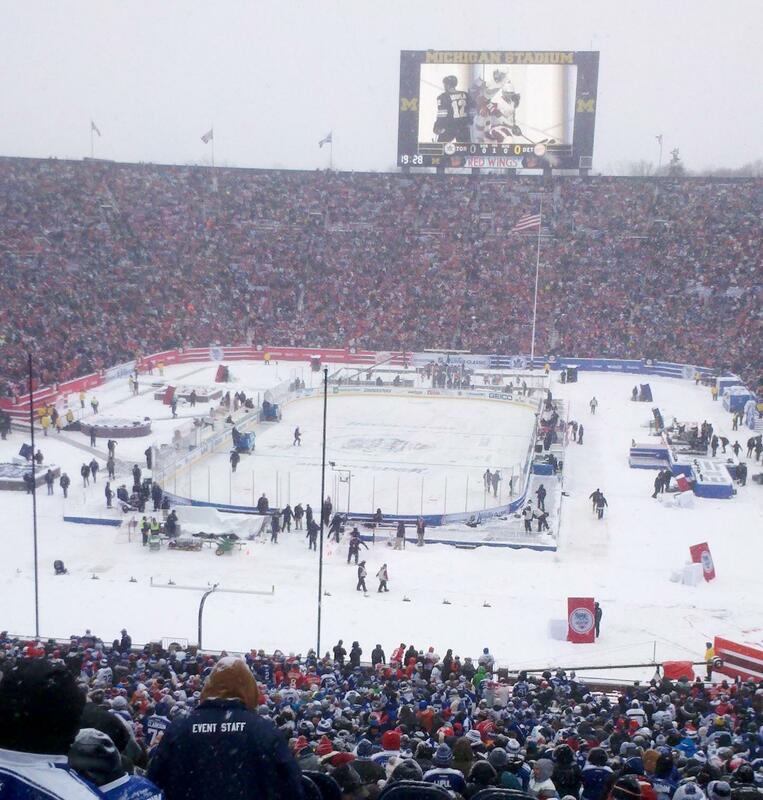 Professional Hockey at Michigan Stadium January 1 is giving way to European Football this weekend. 89.1 WEMU's Andrew Cluley reports on the celebration planned Friday before the Manchester United-Real Madrid game at Michigan Stadium. Manchester United will take on Real Madrid in European football Saturday. That's soccer to you and me. Just because the game itself is sold out, doesn't mean you can't join in for this international event. There is plenty of soccer-related fun to be had on Friday. The success of "The Puck Drops Here" on New Year's Eve before the Winter Classic hockey game made it a no-brainer to hold a similar party downtown before this weekend's soccer game. To accommodate the festivities, stretches of Main, Liberty, and Washington streets will be closed. Several of the area restaurants are holding specials to mark the occasion, and beginning at 3 Friday afternoon, there will be 13-musical acts performing on a pair of stages, at Main and Washington and Liberty and Ashley. If you go to the party, you just might find your way into the sold-out game! Ann Arbor Area Convention and Visitors Bureau Marketing Director Laura Berarducci says you can win tickets via a scavenger hunt, or just by using social media during your visit, "Posting photos through either Facebook, Instagram, or Twitter and tagging #Visit Ann Arbor and #ICC 2014." The winners will be announced from the stage and via social media. Additionally, while you're downtown Friday you will be able to purchase tickets to see the two teams practice late afternoon and early evening. Those will cost you $35 a piece. 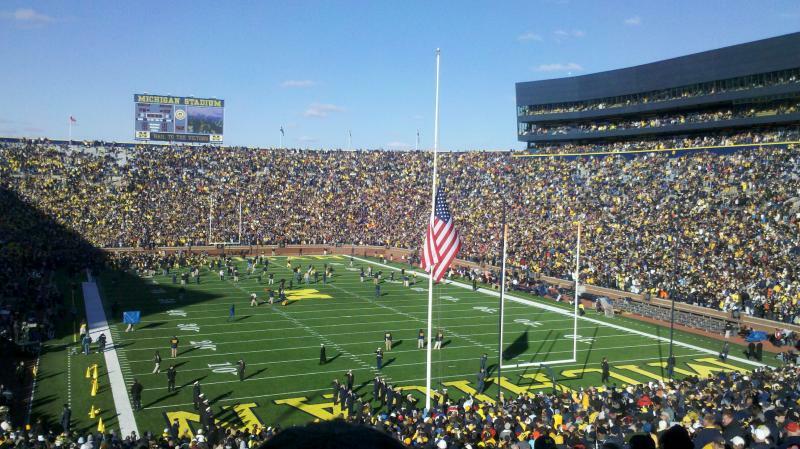 Two of the biggest teams in soccer will meet this summer at Michigan Stadium. Manchester United will take on Real Madrid in Ann Arbor on August 2nd, as part of the Guinness International Champions Cup. If annexation is approved, a combined Ann Arbor and Whitmore Lake School district would become the 4th largest in the state. Just over a month ago, the Ann Arbor and Whitmore Lake School Boards held a joint meeting to start talks about possible annexation. We'll likely know after a meeting Wednesday night at Ann Arbor's Pioneer High School if a plan will be put before voters this fall to move forward with combining the districts. 89.1 WEMU's Andrew Cluley previews the joint Ann Arbor-Whitmore Lake School Board meeting that is expected to include a decision on annexation plans. Ann Arbor voters will chose a new mayor this year but the changes won’t necessarily stop there. Three of Ann Arbor’s 5 wards have contested Democratic Primaries for council seats. The first ward race pits incumbent Sumi Kailasapathy against challenger Don Adams Junior. 89.1 WEMU's Andrew Cluley reports on the race between incumbent Sumi Kailasapathy and challenger Don Adams Jr. for Ann Arbor's first ward City Council seat.